Women move to repeal US Congress abortion gag rule - SABC News - Breaking news, special reports, world, business, sport coverage of all South African current events. Africa's news leader. President Trump signed an executive order reinstating the gag rule on his fourth day in office in January 2017. Women in the US Congress took formal steps on Thursday to lift a gag rule imposed by President Donald Trump that has slashed access to abortion globally, introducing legislation that would permanently shut down the controversial policy. The gag rule bans US-funded groups around the world from discussing abortion, forcing them to accept the restriction or reject it and lose funding. 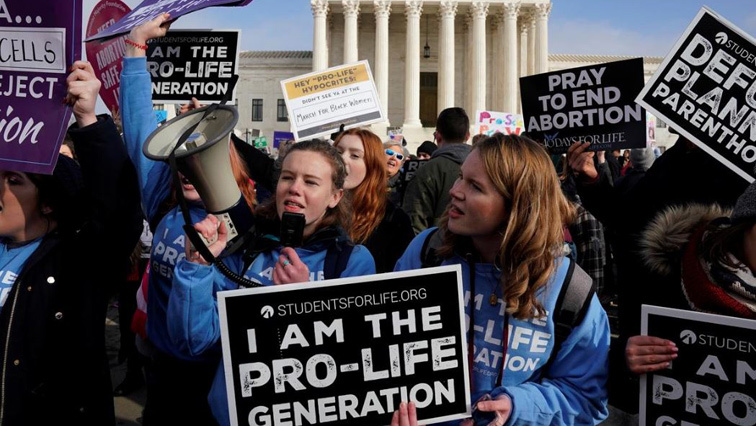 The proposed law would permanently repeal the rule, which has been used by US presidents for decades to signal their stance on abortion rights, a touch stone issue in US Politics. The record number of women in this year’s Congress give traction to the bill, first introduced in the House of Representatives and the US Senate in 2017, Lowey said. The move comes the day after the White House announced a women’s global empowerment initiative headed by Ivanka Trump, the president’s daughter and adviser, involving US agencies and private businesses. “To push an anti-abortion agenda a broad while paying lipservice to women’s empowerment is the height of hypocrisy,” Lowey said. Reintroduction of the bill was announced by Lowey’s office and that of Senator Jeanne Shaheen, with 150 co-sponsors. Under Trump, the gag rule was expanded beyond family planning to funding for all global health assistance, including programs for HIV, tuberculosis, malaria and immunisations. The US based Center for Family and Human Rights, which opposes abortion, said in an email that foreign aid “should not be used to harm women and end the lives of their pre-born children. “It’s unfortunate that these members of Congress are motivated to provide assistance programs that are so destructive,” it said. This entry was posted on 08 Feb 2019,12:32PM at 12:32 PM and is filed under Sci-tech, Homepage Featured Story Slider. You can follow any responses to this entry through the RSS 2.0 feed. Both comments and pings are currently closed.